Hey boss, I have the same truck 15 z71 6.2L silverado. What part number is this for the fox shocks? Also do you have steel or aluminum UCA's? I have just downloaded Lew's tune for my truck, but when I got to custom tuning it only shows the ECM, not the TCM. Anyone having this issue? Got her delivered september 26. We love it! I am seeing red tow hooks... Trailboss Tahoe? 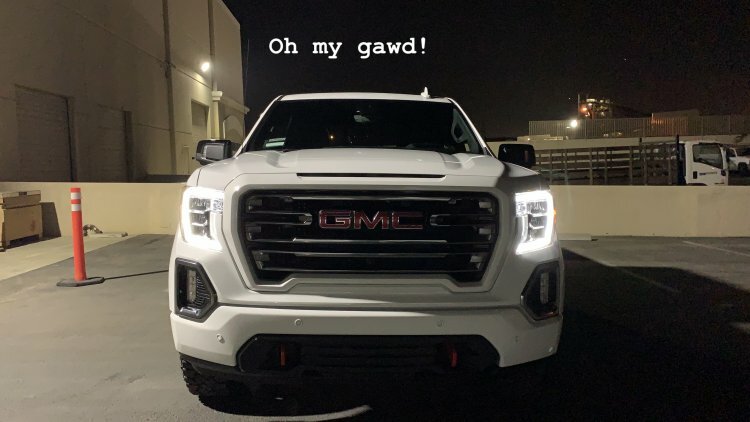 I would presume since GMC did say they were going to have an AT4 model throughout their lineup. Cant wait to see them! From Build Date...How Long Delivery ? Our AT4 was produced the first week of this month. Has just arrived in California waiting for delivery to dealer. Cant wait! 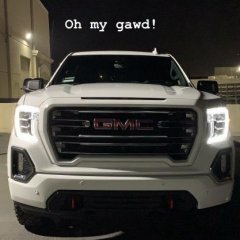 Where are all the 2019 owners? Yes, ours is in "intermediate delivery" right now, code 4300. They were produced last week. Hi all, Just got info on our AT4, we're now at event code 4300 "Intermediate delivery" anyone know what that means? Zane? I think someone has posted about this before but I cant remember. How do we know via the VIN # that our truck was produced at the Fort Wayne plant in Indiana? Was it the #1 at the beginning? Thanks for the help. I agree, and I don't even think you can get an AT4 with a standard bed, unless I am wrong. I just got news that our 2019 AT4 has been produced and we have a VIN #! and code 3800. I hope it doesn't sit on the lot, but we will see! Cant wait for it to arrive!